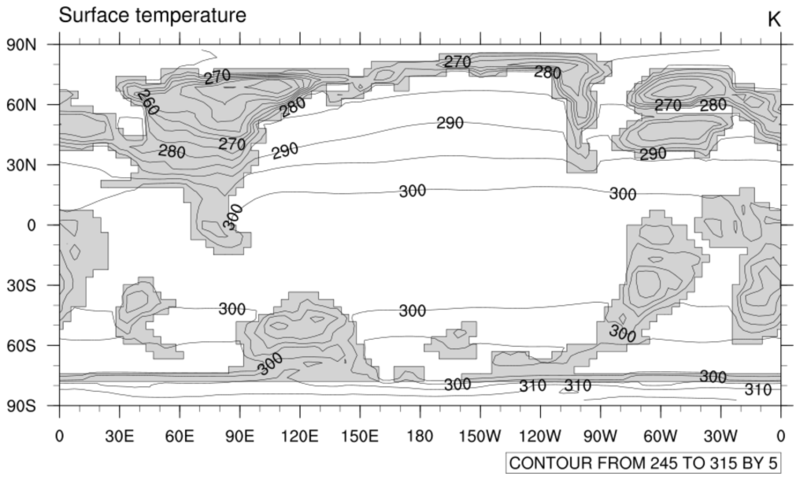 paleo_outline creates continental outlines from model orography data for use in paleo geographic plots. Note that if your longitudes are -180 to 180, you should use lonFlip to put them into 0-360 mode. This is the only mode that paleo_outline accepts. 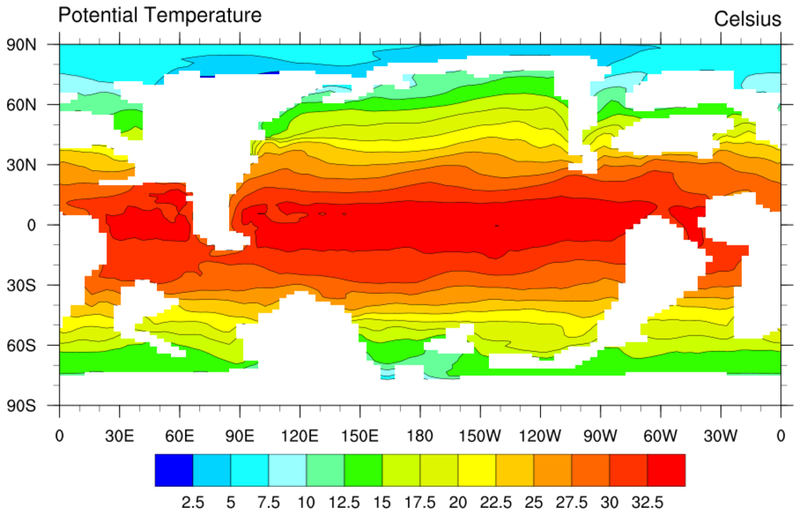 paleo_1.ncl: Takes advantage of land being set the missing to plot the land as the mask used by the ocean model. Since there are no continental outlines for the earth during this period, this is handy. cnFillOn = True, Turns on the color fill. mpFillOn = False, Turns off the gray continents. 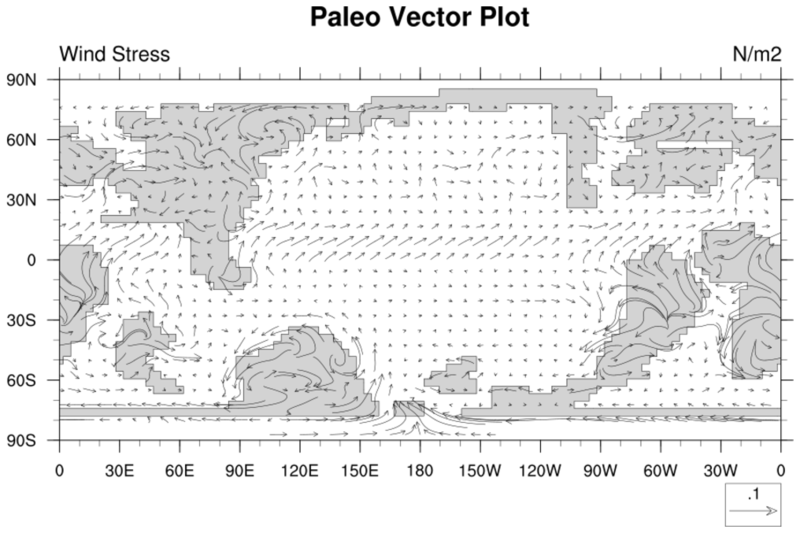 mpCenterLonF = 180, Centers the plot at 180 vice 0.
paleo_2.ncl: An atmospheric example which uses paleo_outline to create the continental boundaries. paleo_outline generates two files called "filename.lines", and "filename.names". With two resources, we will tell NCL to use these files instead of the standard modern-day continental boundaries. the mpDataSetName = "./filename" resource, tells NCL the path to and name of your data base. In this case the data bases are in the same directory as the NCL script. You may want to consider storing these databases in a special directory. 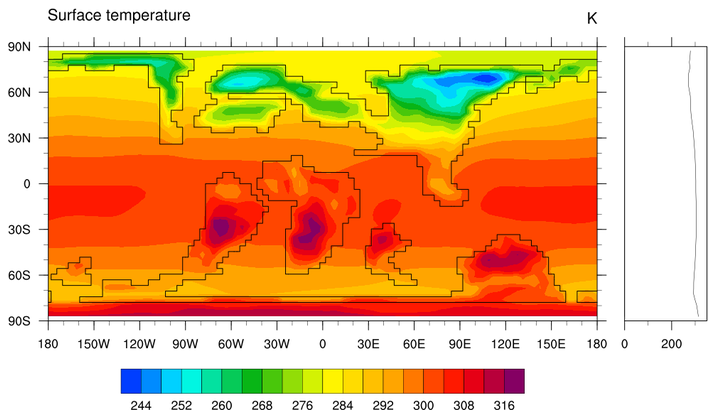 paleo_4.ncl: A color paleo atmospheric plot. 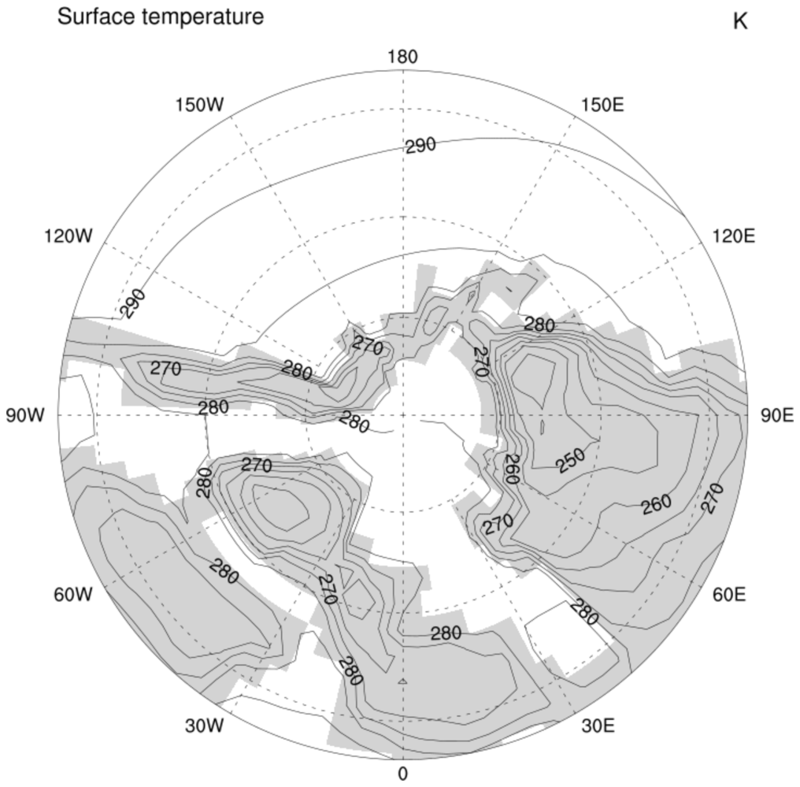 mpGeophysicalLineThicknessF = 1.5 to really emphasize the continental boundaries. paleo_5.ncl: An example of a paleo vector plot.